home on the ferry at Ports of Call. His effort to participate in sports during high school was placed on a back burner because of the financial necessity to keep working to help out his mom. 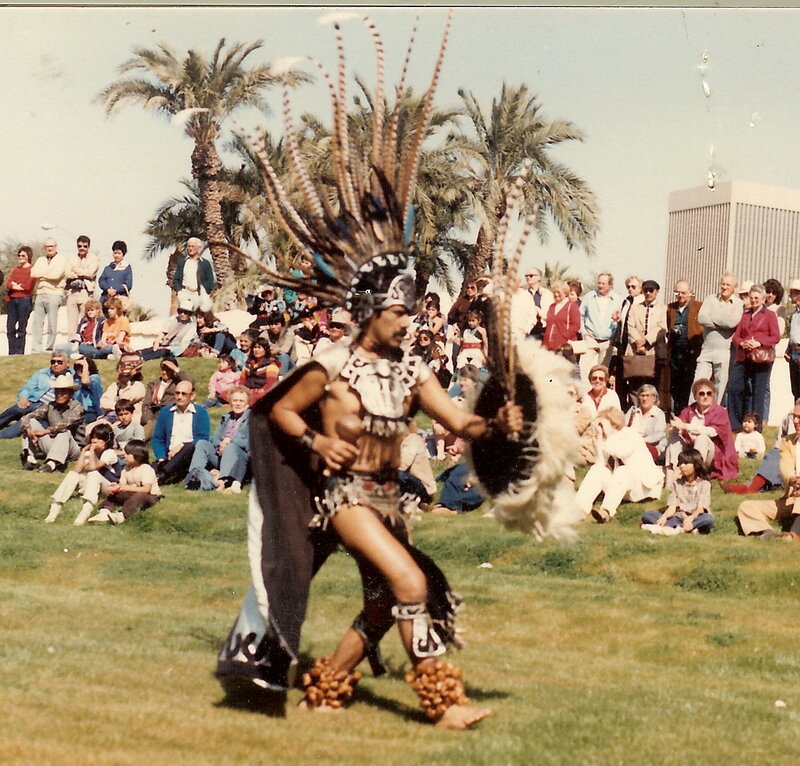 along with his friend, Manny Gonzalez, to teach foklorico at Poly High School in Long Beach. 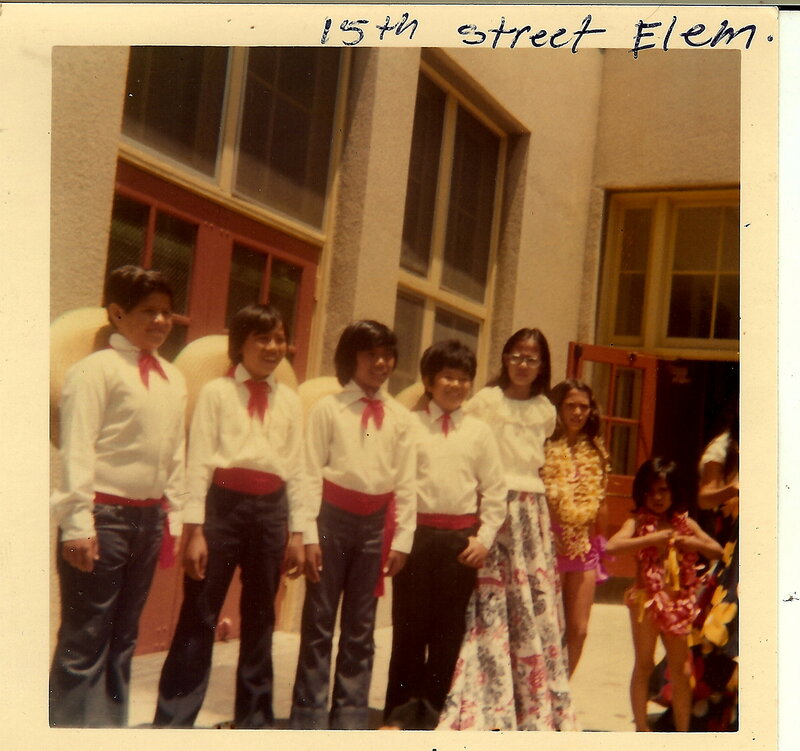 grade class and Most Likely to Succeed at Stephen White Junior High. M.E.Ch.A. 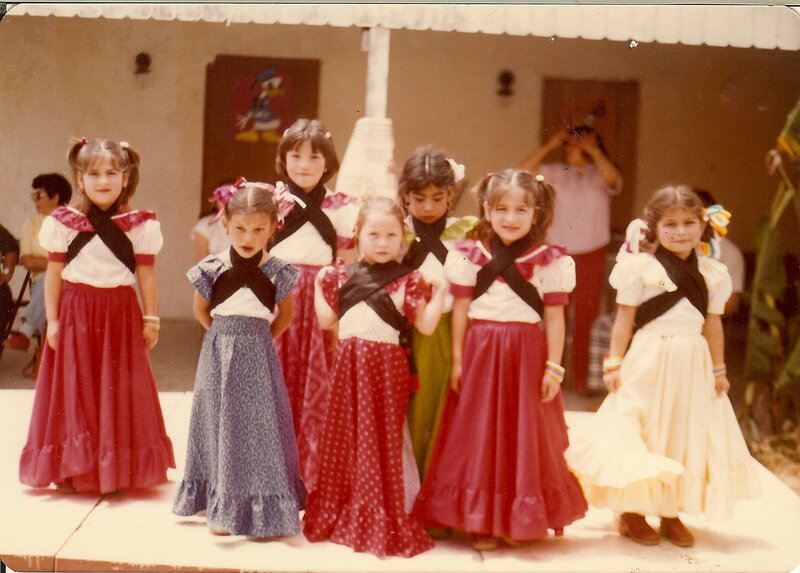 Folklorico performed whenever and whereever they could. 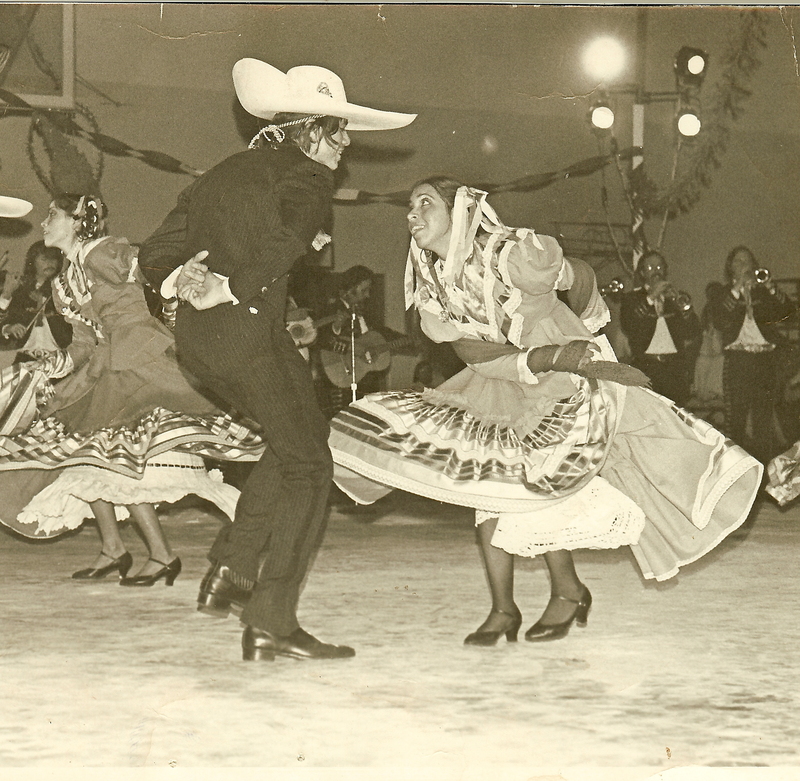 when they both joined the Communiity Folklorico Class at Harbor College. 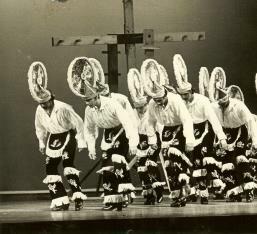 the beginning class worked well with the rigor and discipline demanded by Mr.
after Harbor College hired another folklorico instructor. was created and remained performing until Ricardo's passing on July 6th,1992. with Lulu Washington at the Intercity Cultural Center. 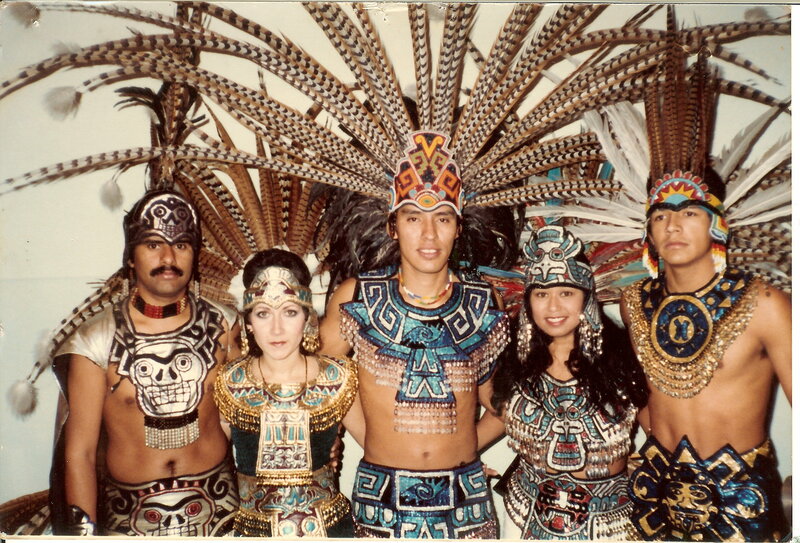 The choreography was researched based and authentic especially their Aztec Suite. Norma and Andy still carry on with the high caliber level of instruction and choreography under the company of Adelante Presentations in honor of their beloved maestro. 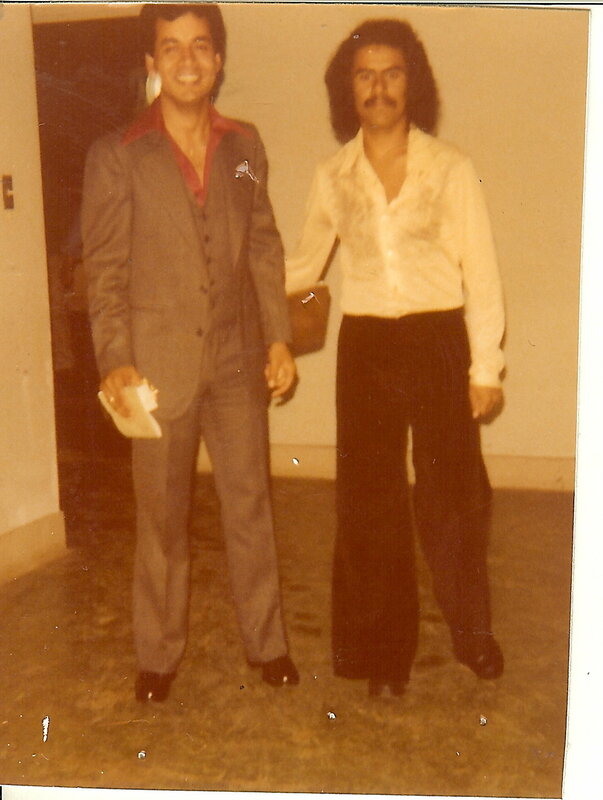 Around this same year, 1973, Andy had met a close friend in college, Tony Vasquez. 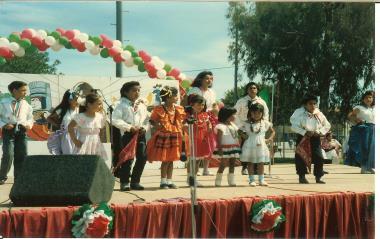 to Los Angeles and began teaching folklorico regional dance in various high schools. 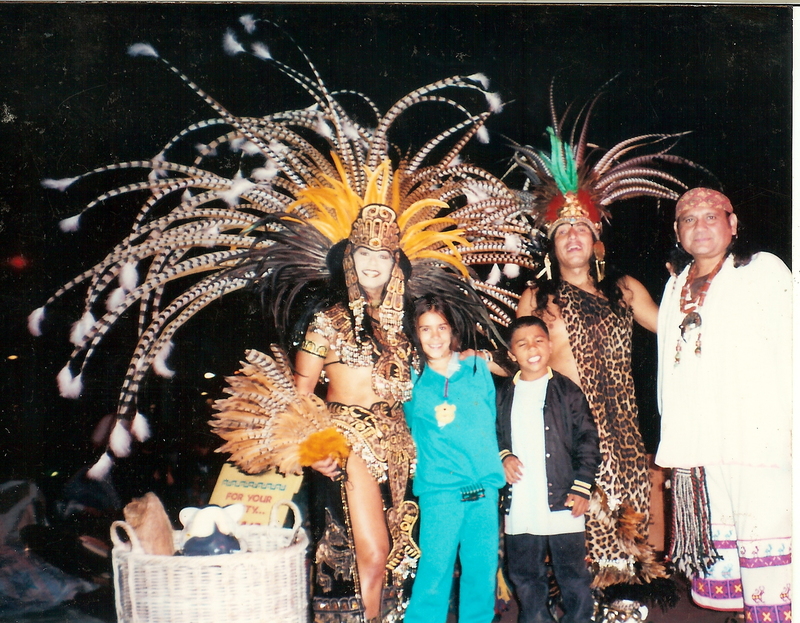 began Esplendor Azteca. 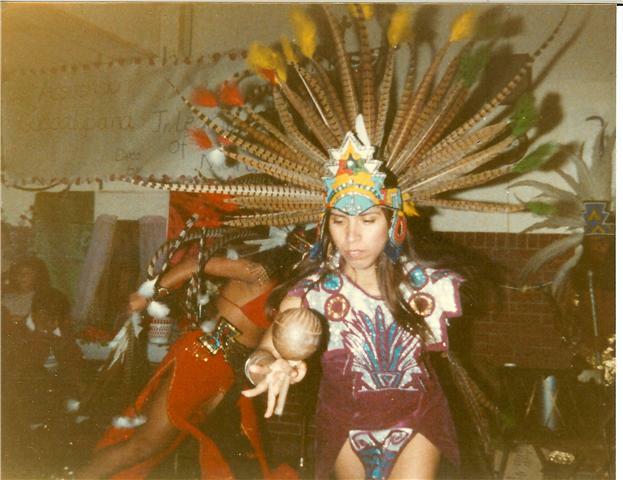 This was before the "Mexica" concept was even conceived. one of Florencio's last great projects. 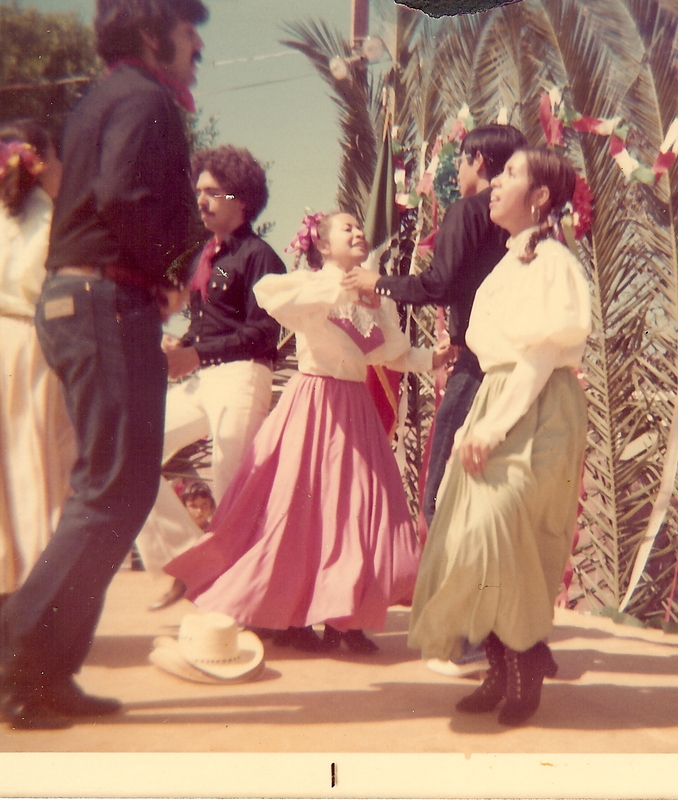 Dancing with Florencio and Josefina opened up one of a strong awareness in Norma & Andy regarding their indigenous roots. They both grew up in an era that degraded not only their Mexican heritage, but even worse, it portrayed the America Indians are savages and drunkards. The drumming in the Azteca danzas and the celebration of traditional ceremonias woke up strong feelings of pride in their indian spirits and both became active supporters of the Four Directions with Ernie Peters, Iron Circle with Tony Portillo & John Funmaker and Calmecac with Anna Espinoza and Dr. Soliz. Their lives followed down the red man road and even today, they are still standing strong in the indigenous circle. Norma and Andy are still dancing Azteca when called upon. 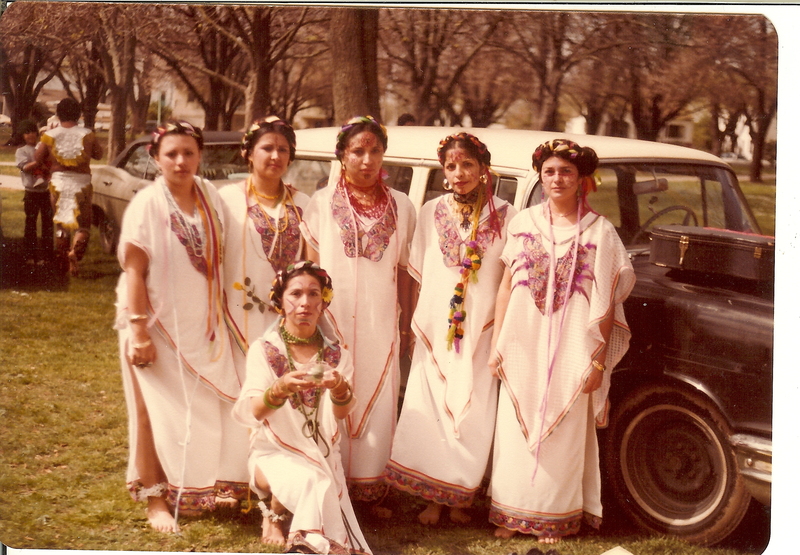 invitation was extended to Andy to join their folklorico group and around 1977. 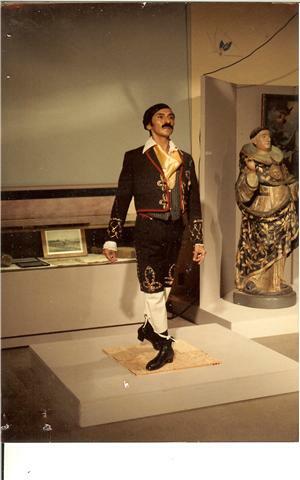 Andy auditioned with a zapateado a cappella and was accepted into Mexicapan. 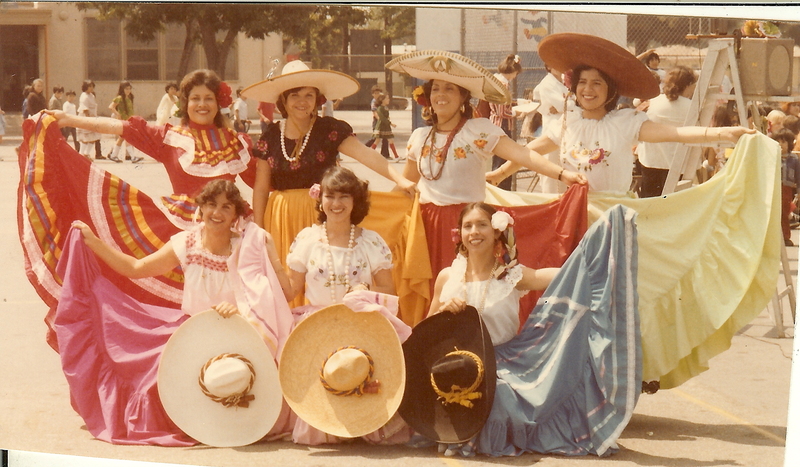 ( of Tierra fame ) with Veracruz dances at Cal State Dominguez. 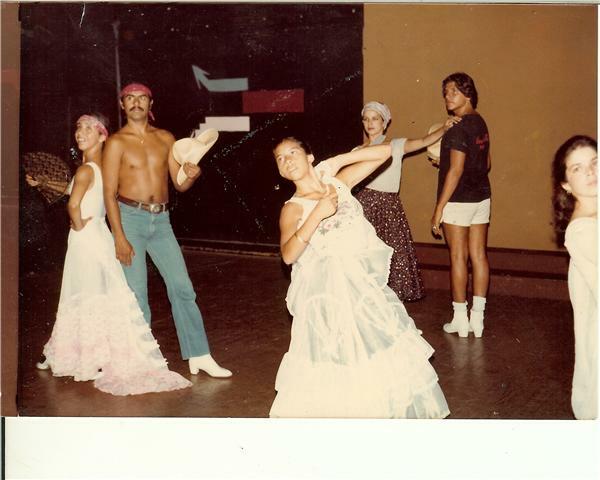 was the Los Angeles Mexican Dance Company with Carola De La Rocha and. Rey & Reyna, were born in 1989.
the many high schools students from San Pedro and Narbonne. 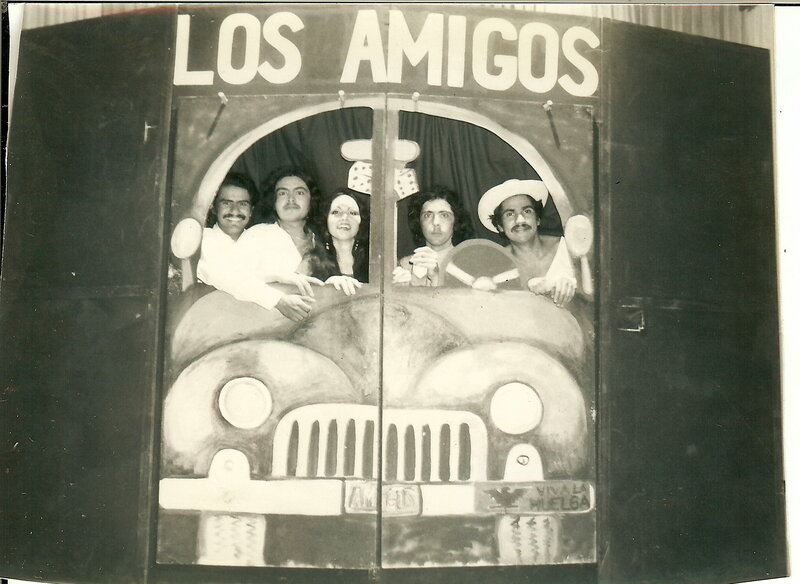 The group was called Los Esplendores. 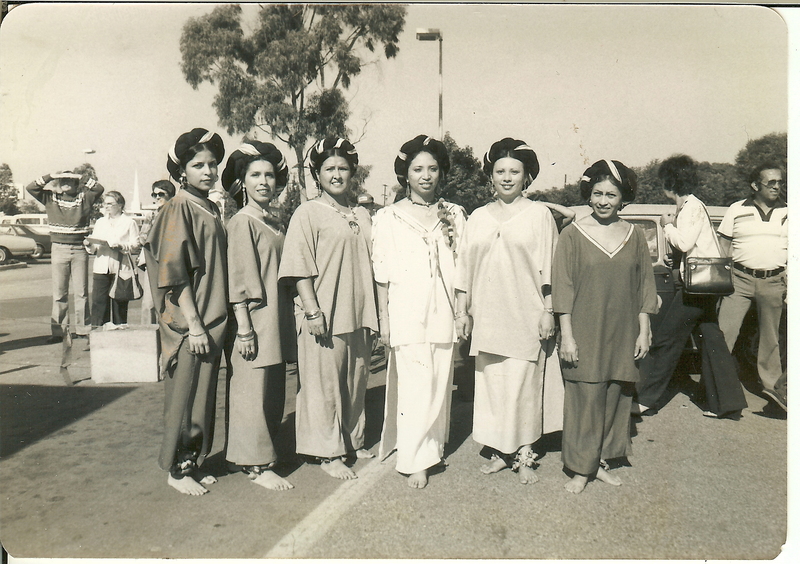 This company performed at many events in the San Pedro and Wilmington areas. 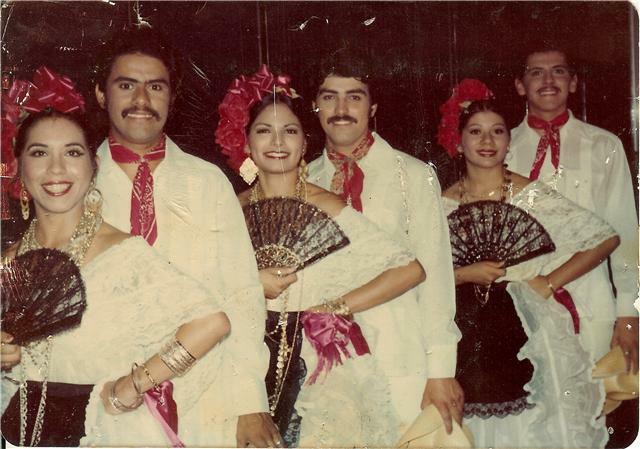 This group performed choreography from Ricardo, Emilio and Florencio. 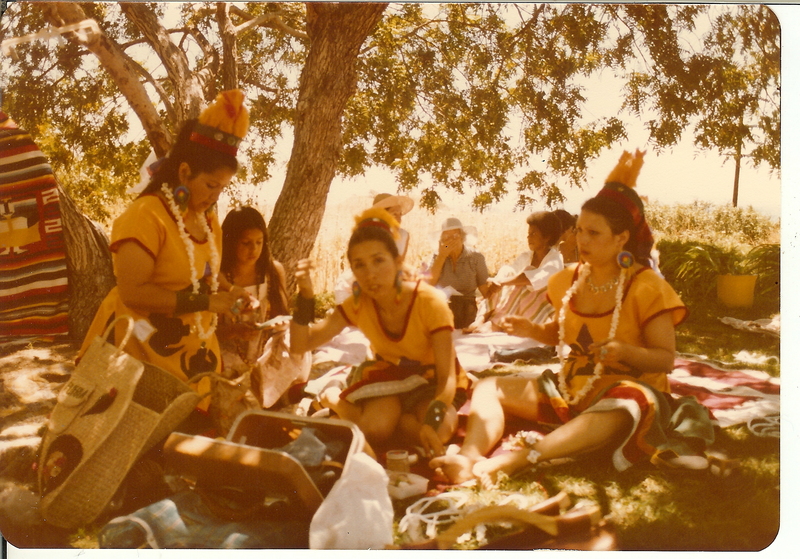 Workshops were sponsored to bring other regional dances - like Nayarit, Yucatan Jaranas & Huasteco - to the harbor area. 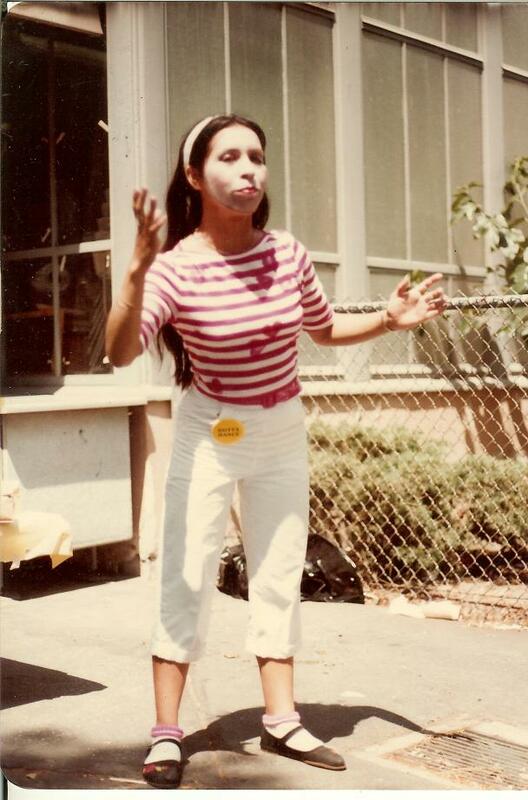 Norma was hired on at the Conservatory of Fine Arts ( see video ) at Cal State, Los Angeles in 2002. This program was run by the Los Angeles Unified School District. 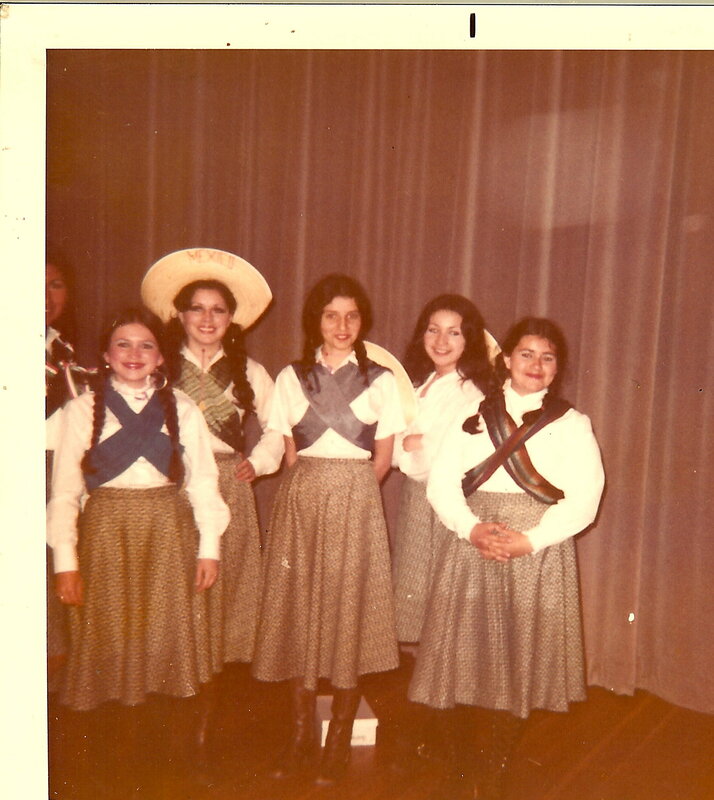 Every Saturday morning, hundreds of students classified "Gifted" in music or dance would take classes to enhance their talents. 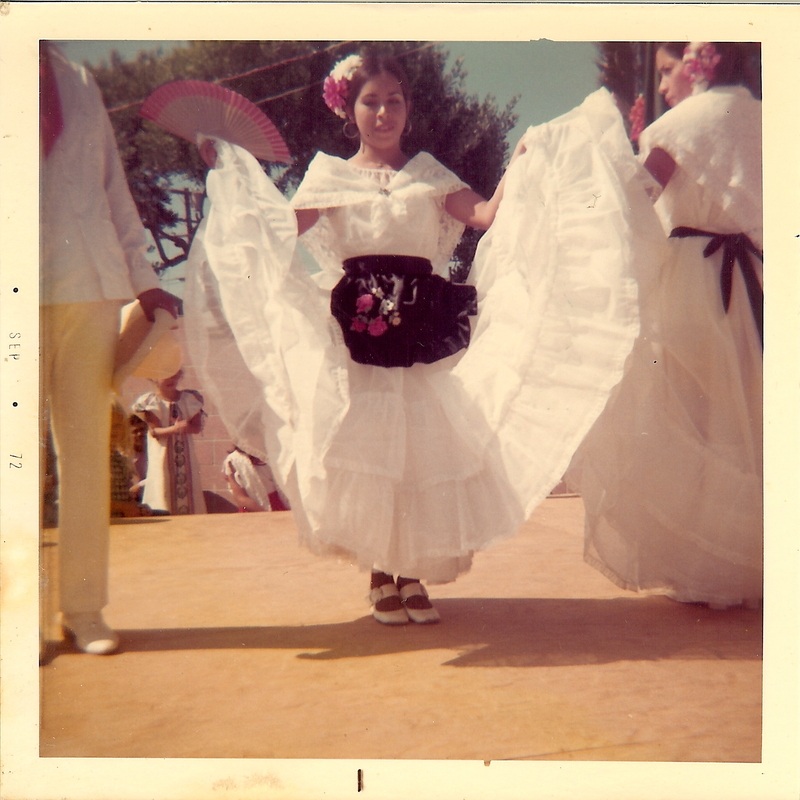 Norma taught Creative Dance and Mexican Folklorico. Her daughter, Reyna, was accepted into the program and was able to accompany her mother on Saturdays. 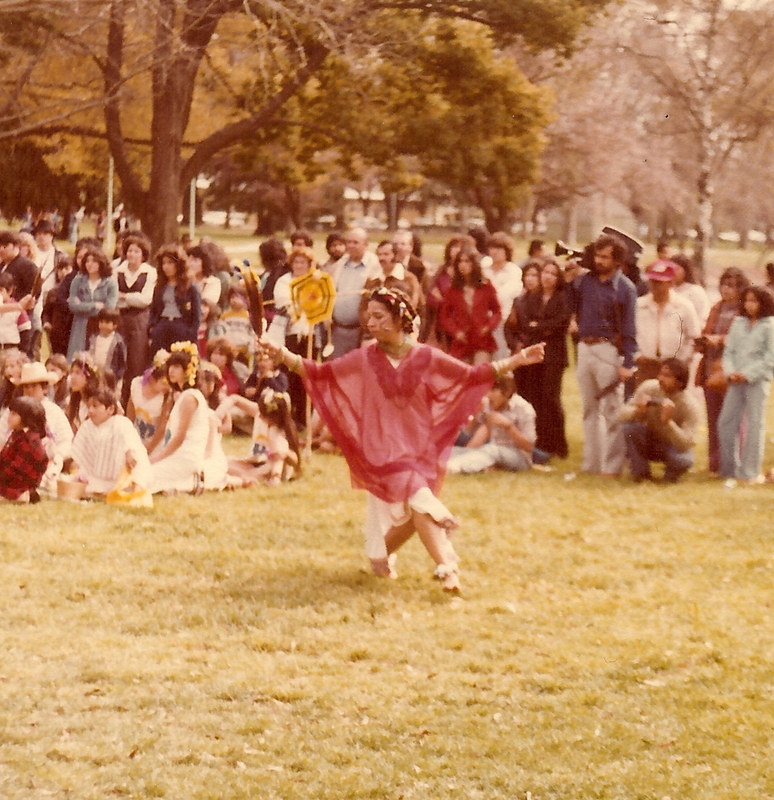 Unfortunately, the program administrators felt the rendition of "No Nos Moveran" as a dance piece to be too controversial and therefore, her contract was not renewed the following year. 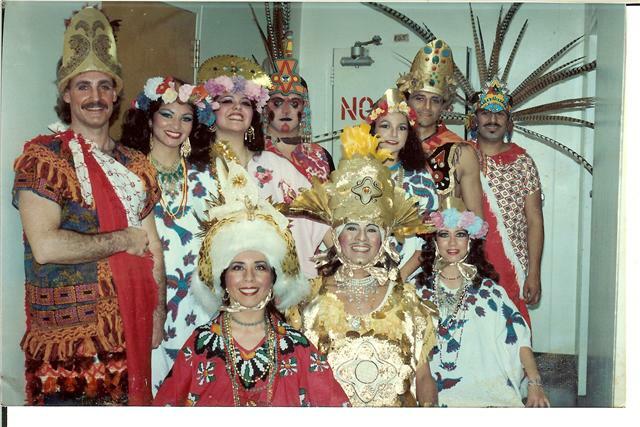 She was able to work alongside of Miguel Delgado as an Azteca dancer in the play of La Virgin de Tepeyac. 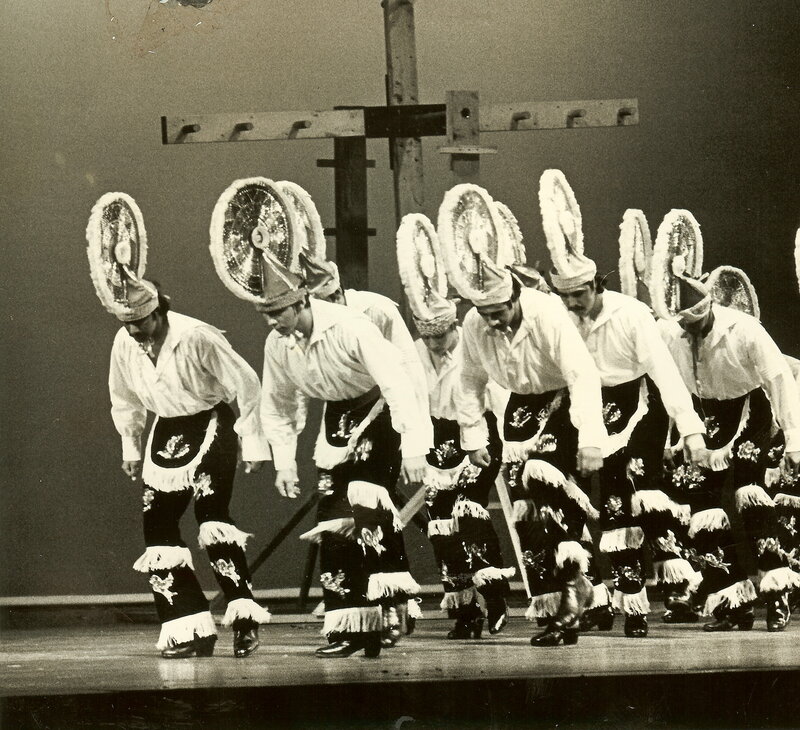 She, also, worked for a short while with The Elizabeth Waldo Ensemble performing various dances from the regions of Peru, Spain and Early California. 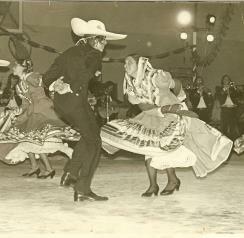 This was the only opportunity Norma was able to perform in a duet along side of her mentor, Ricardo Peinado. 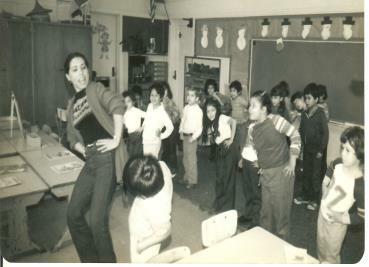 Teaching whatever they were able to learn was always a must for Andy & Norma and this dedication continues to this day. They have taught classes whereever and whenever possible. decided to study this technique and master it. groups - preKinder/K, primary and uppergrade/Older. language acquisition with a focus on family and community. Margie Rodriquez and Lydia Agundez ( also credentialled teachers ) worked with the lower and upper grade children. Other parents were responsible for other technical aspects of the school such as nutrition and clean up. Dues were paid in order to cover any expenses for materials and supplies. 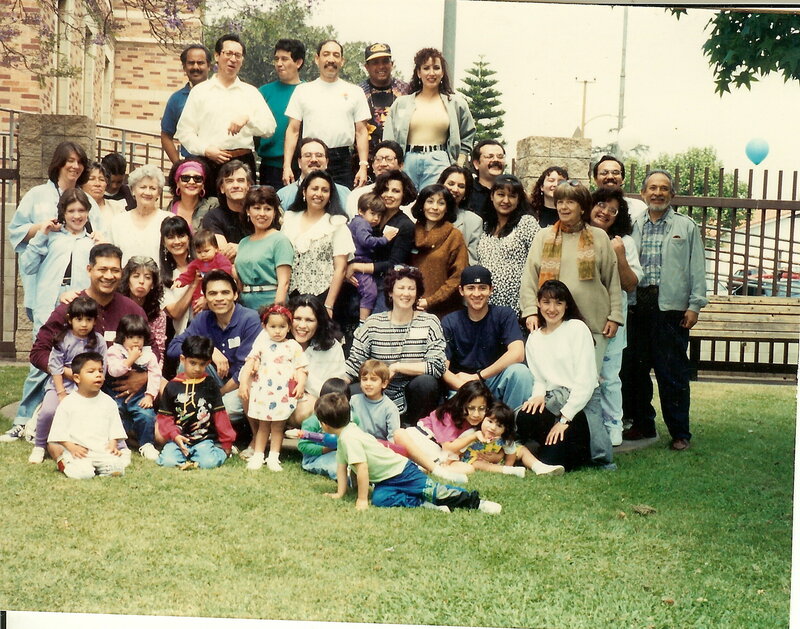 Family field trips were scheduled to various locations such as San Juan Capistrano using the Metro railway. What a grand concept before charter schools were even conceived. 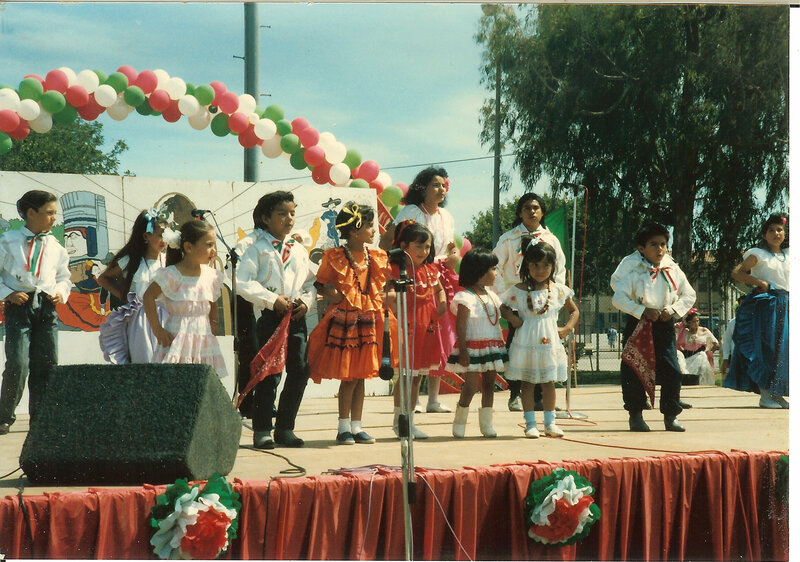 The children participating in the Escuela were able to share their newly developed talents at various locations throughout L.A. and Long Beach for conferences, festivals and other community functions. 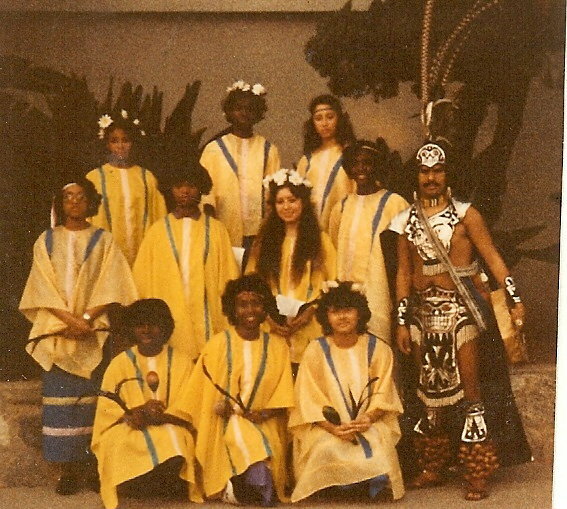 Escuela de Nuevo Canto continued for about a year before ending this unique cultural art school.